All the best Bodybuilding.com B-Elite Ignite Tee deals in one place! 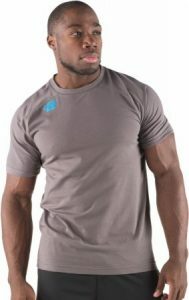 Compare prices from all the top online stores to find the best price on Bodybuilding.com B-Elite Ignite Tee. Fitness Deal News does the hard work for you of finding the best deals & coupons on everything fitness. Power Clean Cotton Wicks Away Moisture To Keep You Dry! Our signature cotton-spandex blend supports performance in and out of the gym. Hit your goals and ignite your results in style. Made from moisture-wicking cotton, this odor-free fabric provides natural comfort and stretch. This soft, easy-care material has been engineered for your active lifestyle. This tee has been designed and cut for performance, comfort and freedom of movement. Raglan style construction gives you maximum range of motion. Flat-lock seams help to eliminate chafing.